In its commitment to the environment and its bet on sports, KALEIDO, Ideas & Logistics has encouraged participation in the Half Marathon Gran Bahía Vig-Bay through donations to non-profit entities. 770 € will be distributed between the ONGs chosen by each of the participants. Following the conclusion of the race, where the marks of each participant ranged between 01:25:24 and 01:58:49, the donations’ choice will be of 660 € to BERCE and 110 € to SOS Tomiño Baixo Miño. “Our company philosophy is to develop our activity as a logistics operator in line with the environment in which we work. 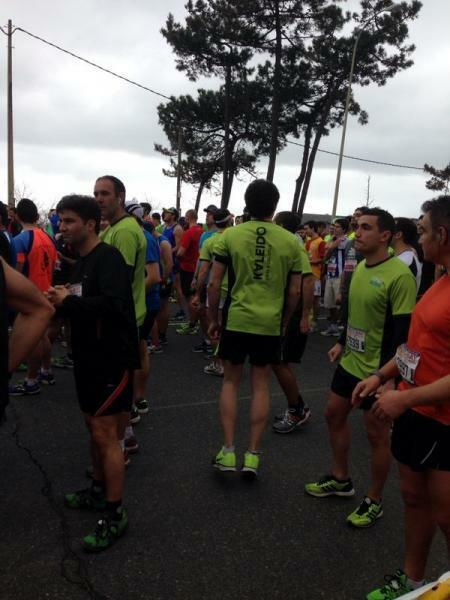 Therefore, KALEIDO is present in activities such as the half marathon Gran Bahía Vig-Bay. This year, we have gone one-step ahead, encouraging participation with an extra recognition by contributing with a donation program. As our support and love for sports is in our DNA, KALEIDO does not only participate as a company, but as people”, underwrites Xosé Martínez, Commercial Director of KALEIDO, Ideas & Logistics. This running contest has been gaining popularity over 14 years, reaching the 5.000 runners of this years’ edition. Pioneers in incorporating new systems and improvements, such as the management procedures according to ISO 9001:2000 or the system “Champion Chip” of time measurement, the Vig-Bay has become a key event in the calendar of athletic events at the national level. SOS Tomiño Baixo Miño It is an association that helps needy families in the Baixo Miño through donations and food.